KUALA LUMPUR: Former Barcelona winger Luis Garcia and ex-Manchester United centreback Nemanja Vidic gave some valuable pointers for Harimau Malaya and the national Under-23 (U-23) squad. Their advice came after Malaysia lost 1-0 to Singapore in the Airmarine Cup yesterday (Wednesday), while Ong Kim Swee’s boys will play three matches for the 2020 AFC Under-23 Championship qualifiers which begins tomorrow against the Philippines. Garcia, 40, said he is sure the players know what they are doing, as they try their utmost to make their country proud. But the former Liverpool star feels that in doing so, it will only put additional pressure on the players. So, he urged them to just enjoy playing the game. “The most important thing is to try to enjoy it when you’re on the pitch despite the immense pressure and weight of expectations. “They (the national footballers) won’t be in the same position for much longer, so it’s important to enjoy these moments, and that’s how they can perform in the best way possible,” said Garcia, who helped Liverpool win the Uefa Champions League crown in 2005. Vidic, who helped the Red Devils win five Premier League titles (2006-2013), stressed the importance of teamwork even though it may sound like a cliche. “Football is a team sport, you have to play as a team. If you play as a team, individually you will get the credit as well. “Be a team player, work hard and have big dreams because I think it’s important to have dreams. “Set high targets, you may not reach them, but you can get close and be satisfied you can reach a certain level in your playing career,” said the Serbian who has won the Champions League once. 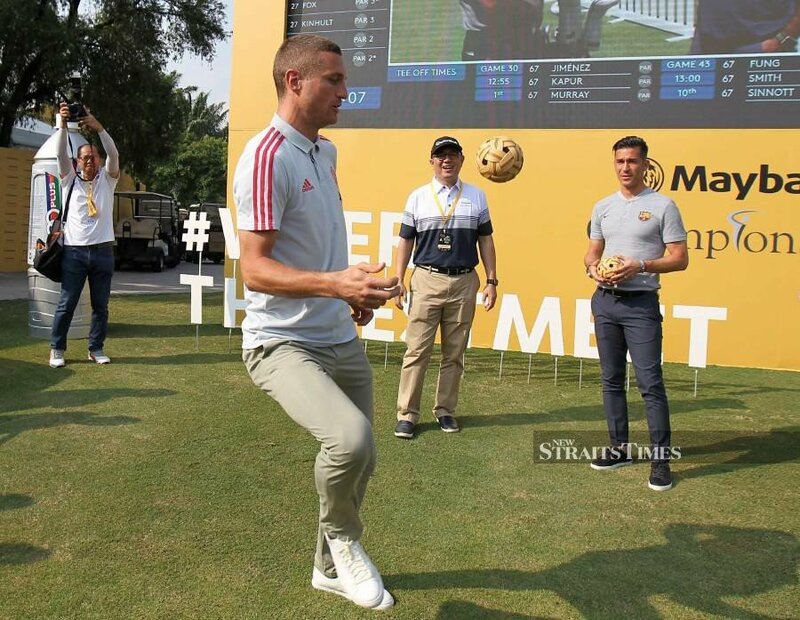 Both Garcia and Vidic also played some golf at the Maybank Championship’s Pro-Am tournament at Saujana Golf Club on Wednesday (March 20).